Like kids, we were stuffing our mouths full with bars of bandi, Antique’s own version of panutsa. Locals stir pots filled with melted muscovado sugar—unbelievably, they’re still preparing more sweets for our consumption. 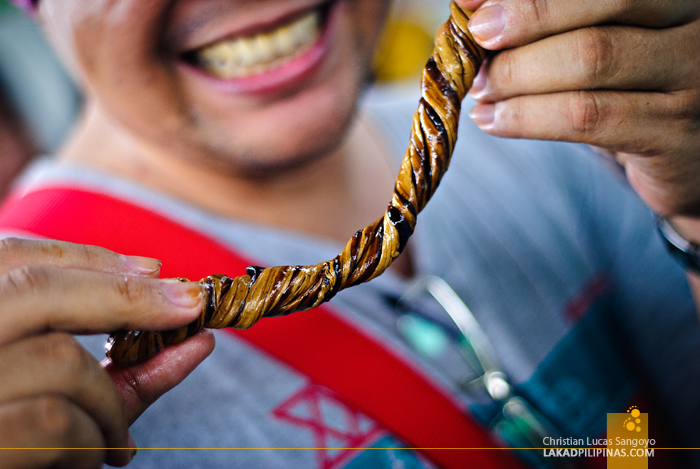 It was the last activity for the second day of Katahum’ Manggad Kang Antique Heritage Tour and we simply can’t say no to ending the day with nothing but sweets. 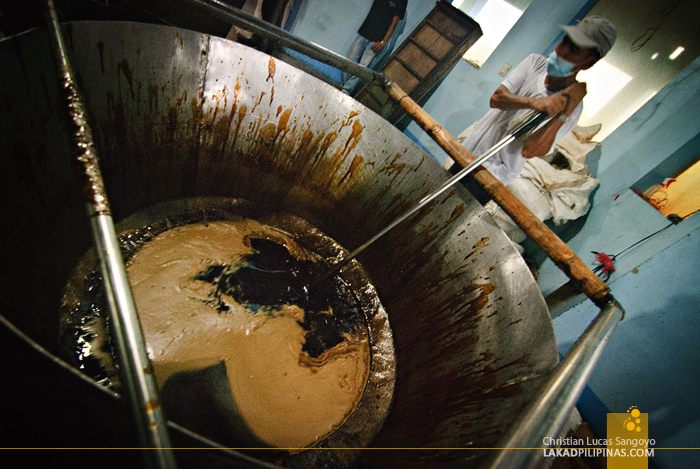 An hour or so before, we visited a sugar mill in the town of Laua-an. This is actually where all those local sweets we’ve been devouring come from. The place was hot and stuffy as we watched how sugarcane juice is processed into muscovado sugar. Muscovado is a type of unrefined brown sugar. It isn’t as sweet as your normal white or brown sugar (well, at least by my taste), and is usually preferred by southern people for their coffee. I’ve tried it once at Madge Café Iloilo and believe me, coffee definitely tastes better with muscovado. 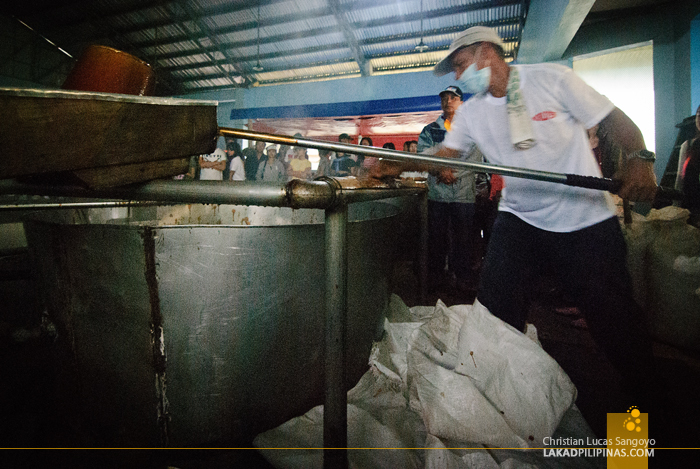 Although mass production of muscovado is still limited in Antique, it’s still the number one producer of this type of sugar in the country. Surprisingly, it surpasses even the sugar capital of the Philippines, Bacolod City. The sugar mill we visited was a testament to the fact. 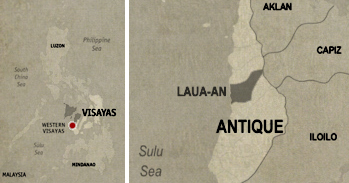 Even though it is probably one of the largest in Antique Province, it is still a relatively small operation. 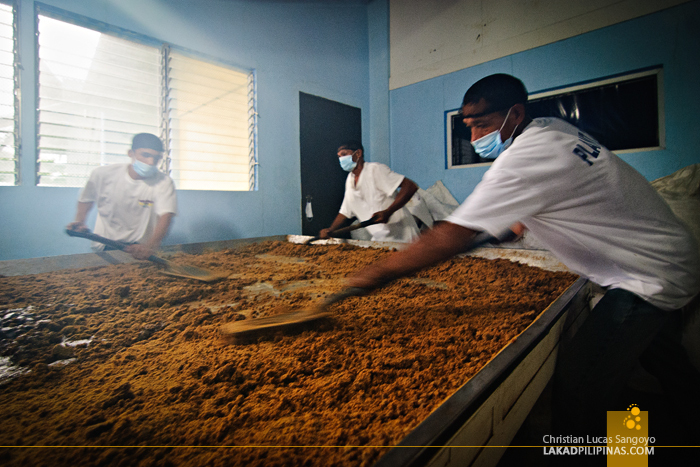 Making muscovado from sugar cane is no easy feat. We witnessed how everything was done manually. 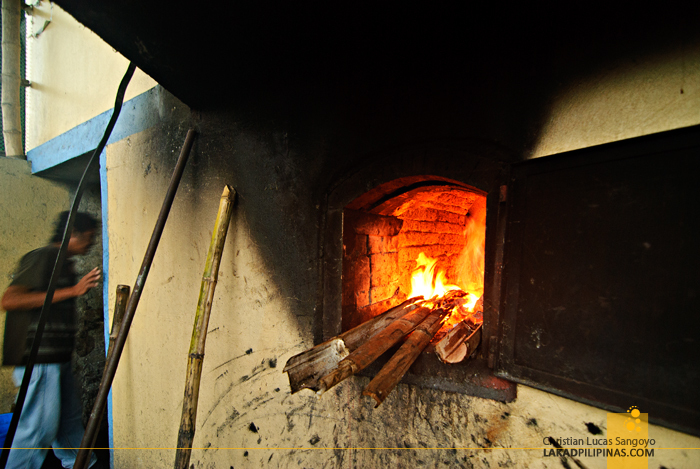 From the bamboo-fed furnace below the mill, to the stirring of the cane juice, up to its pouring and drying stage. No wonder it commands a higher price compared to the commercial sugar we’re all used to. 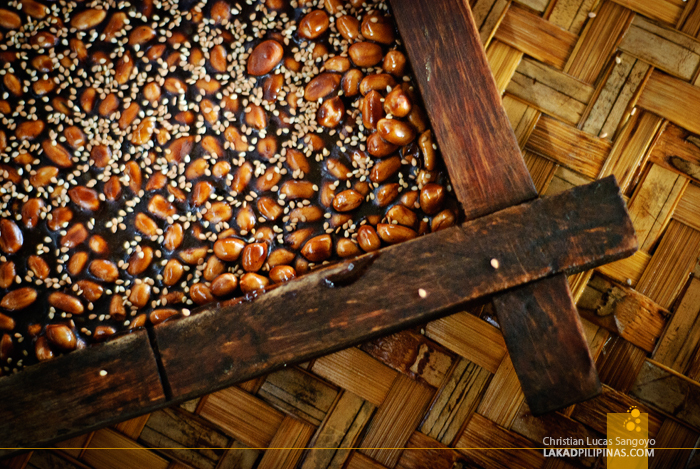 Besides pairing muscovado with coffee, it’s also an excellent ingredient for making local sweets. At a gym somewhere in Laoa-an, we were treated to such delicacies. Everything was cooked and prepared right in front of us. And yes, they even let us participate in making it. Like kids, we were treated to variations of bandi and butong butong. 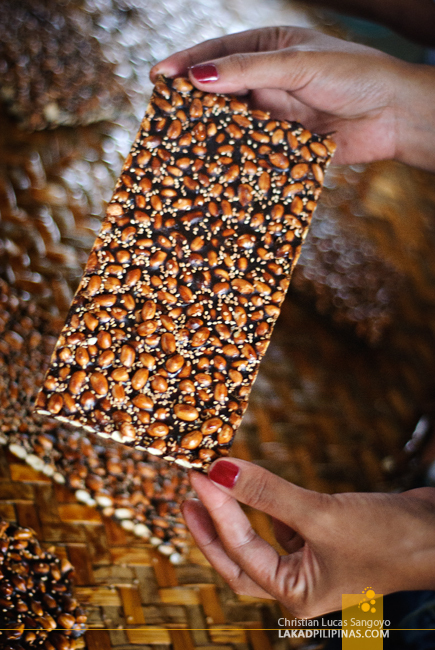 Bandi is very similar to panutsa and Baguio City’s peanut brittle. While I really don’t like the latter two, Antique’s bandi charmed me into eating almost a full bar. 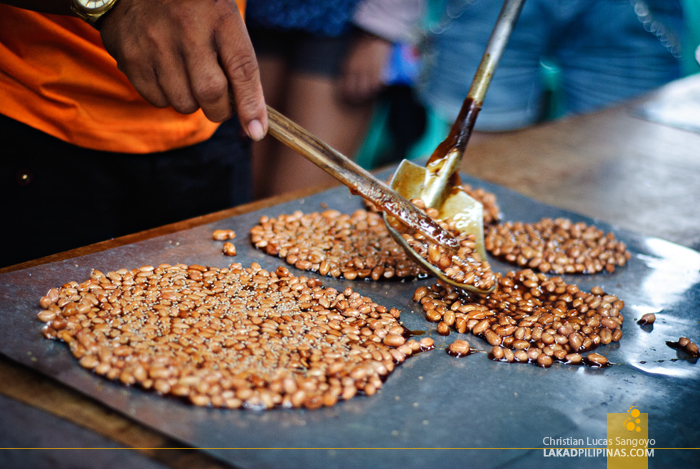 The difference, it wasn’t as sweet as the ones we have in Luzon, most probably since it was made from muscovado sugar. Butong butong on the other hand is Antique’s version of tira-tira. Although this one’s too sweet for my tooth, it was quite fun making it though. Butong means to pull in the local dialect. And indeed, to make this candy treat, one has to bend and pull on a slightly melted muscovado goo until it becomes whitish in color. Twist to perfection and it’s done. Too hyperactive from all that sugar, we gave the rest of the treats to the kids around the gym. Sugar overdose!